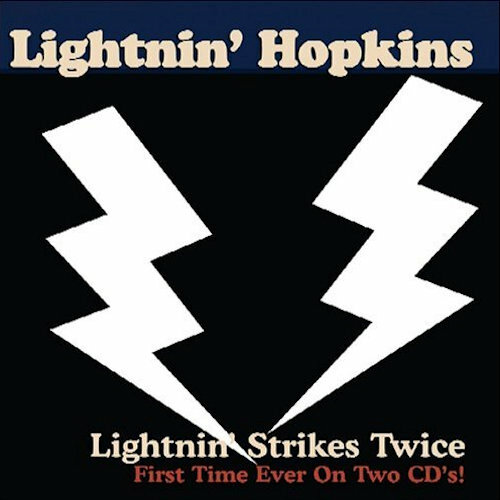 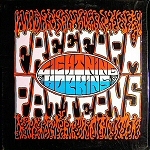 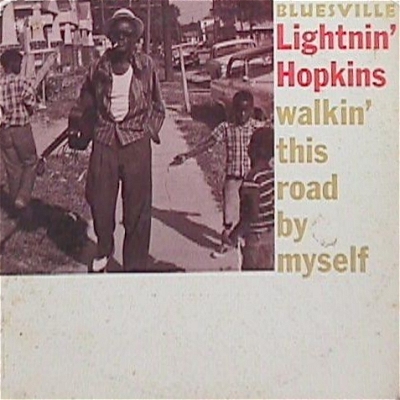 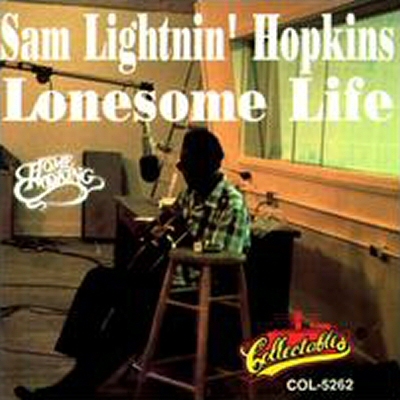 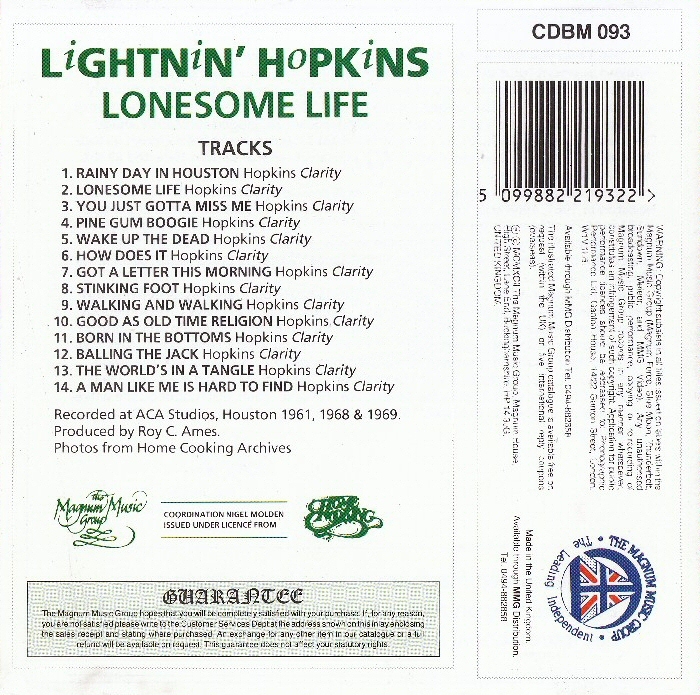 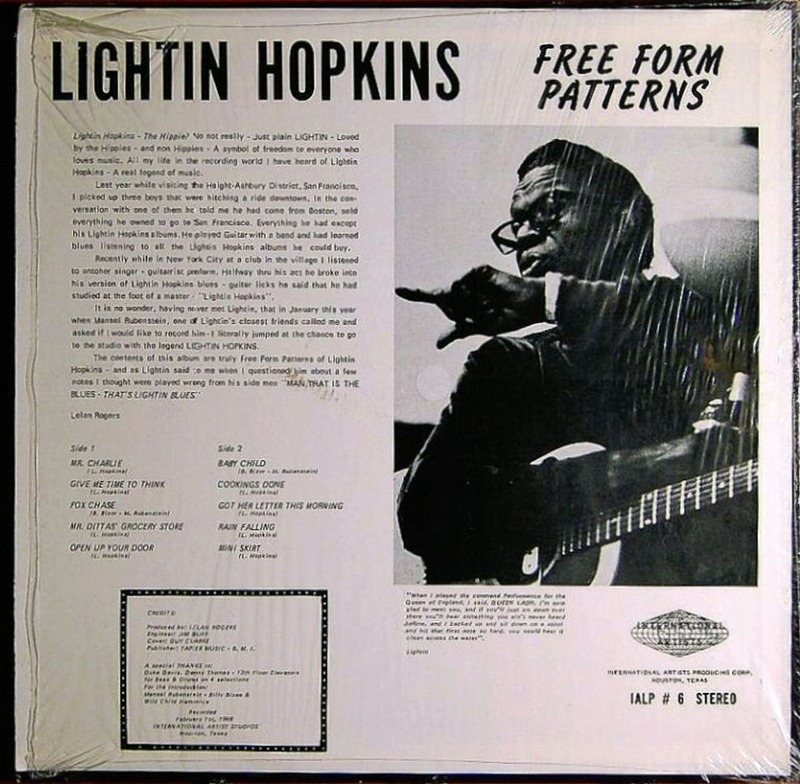 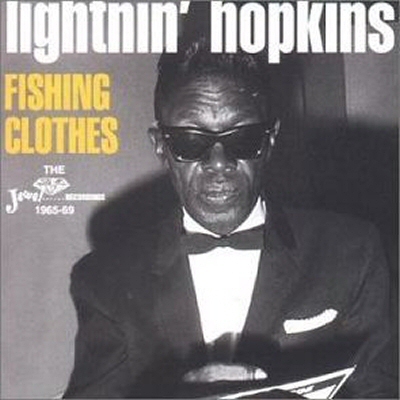 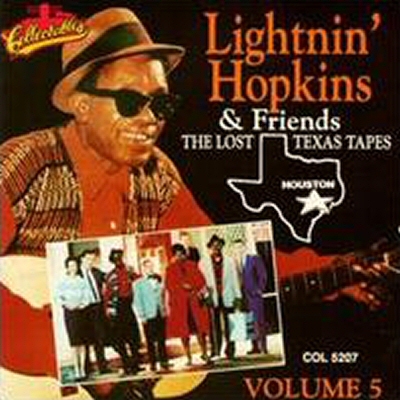 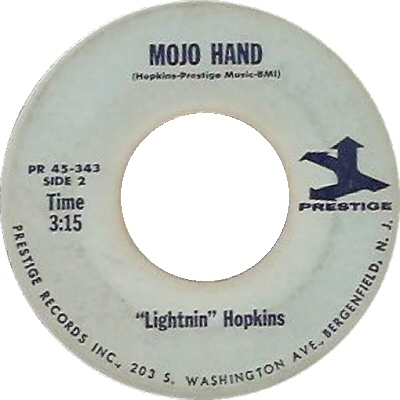 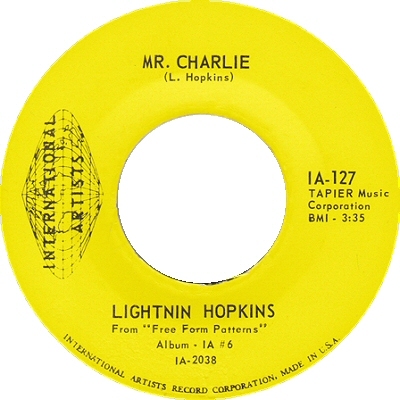 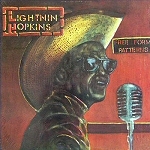 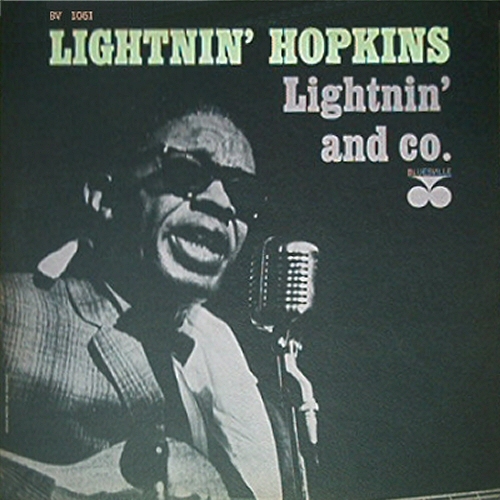 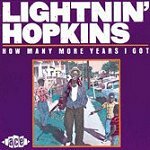 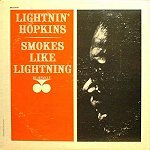 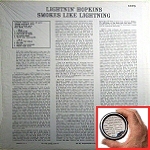 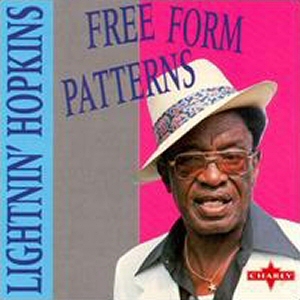 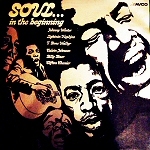 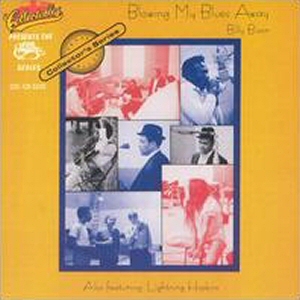 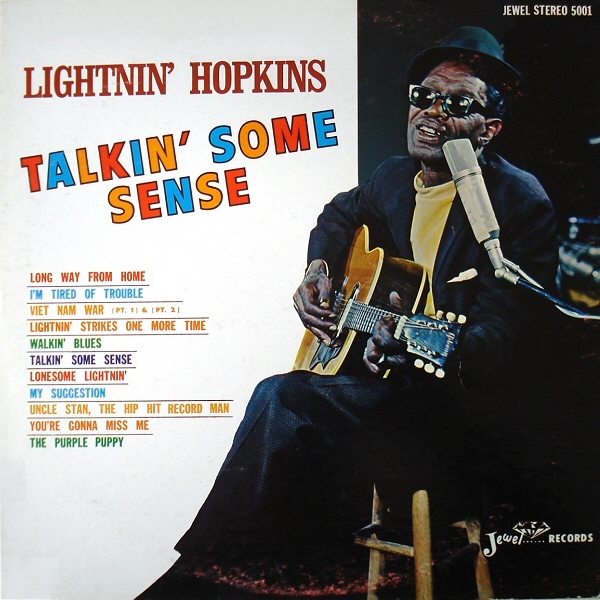 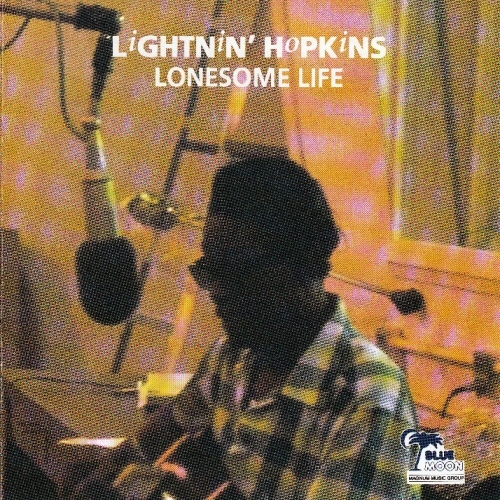 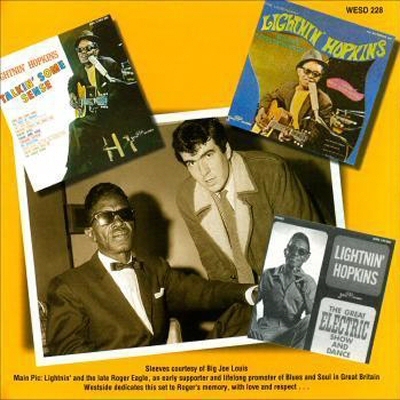 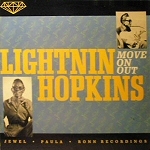 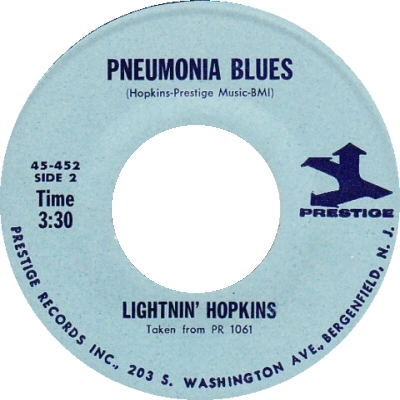 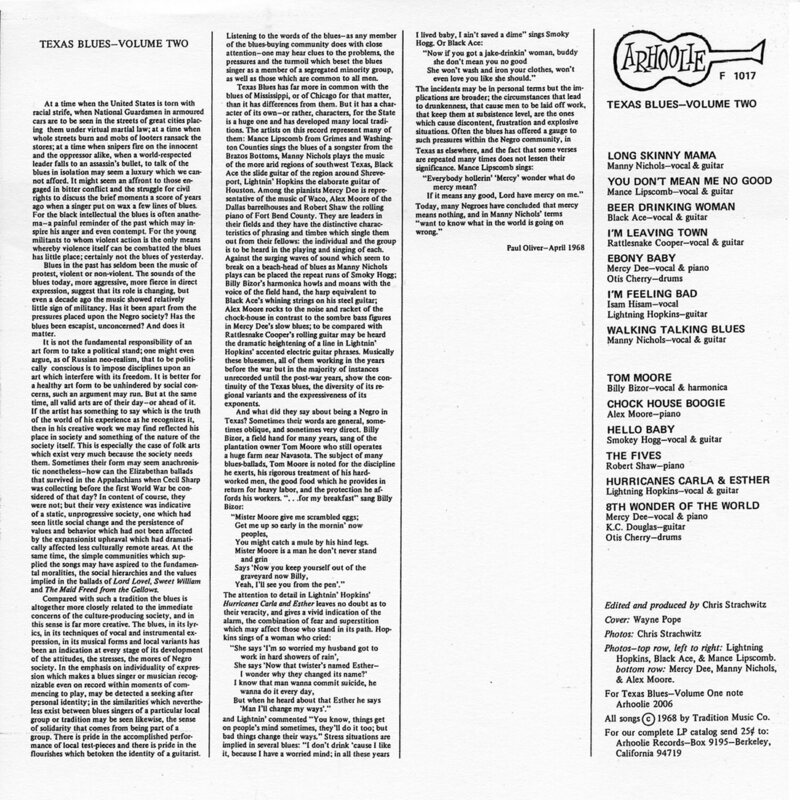 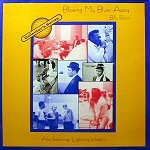 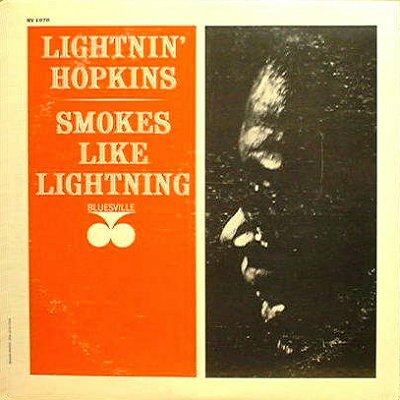 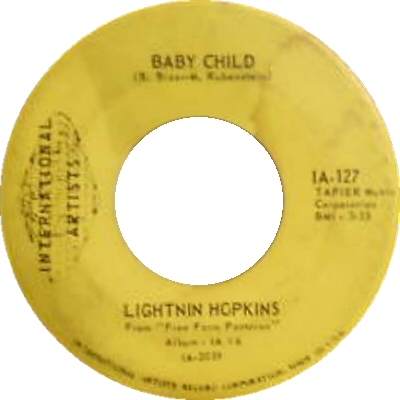 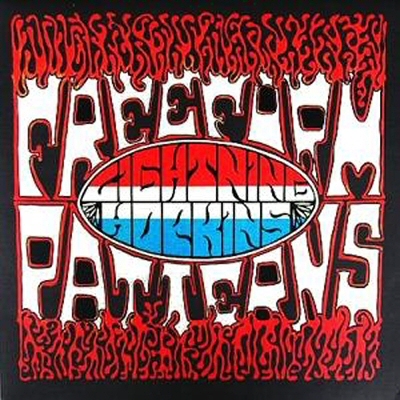 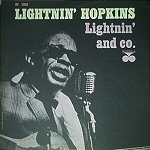 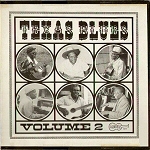 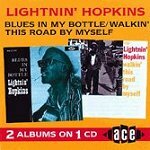 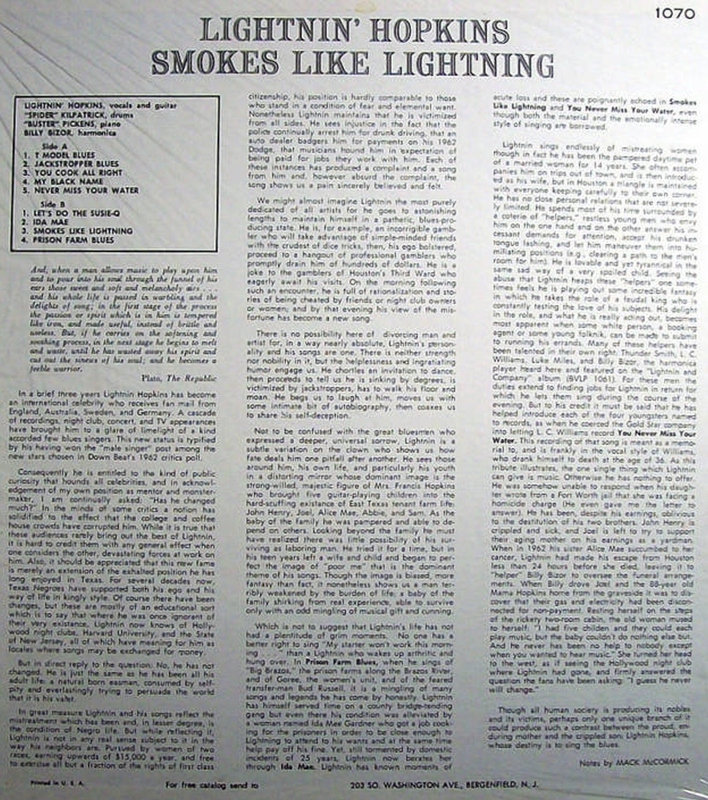 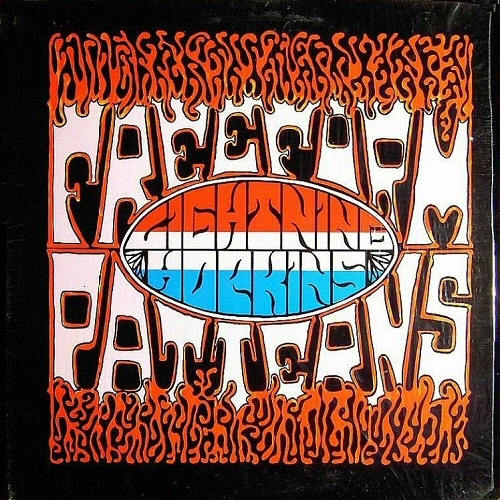 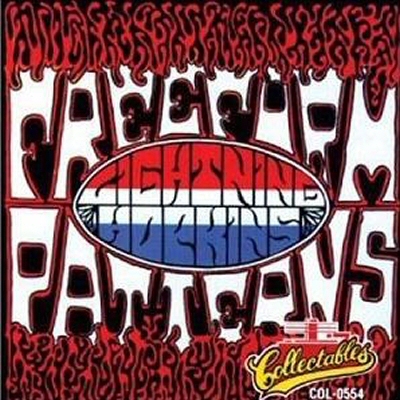 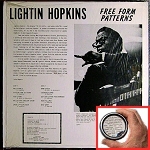 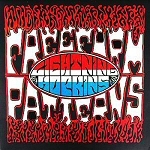 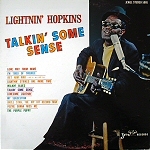 source: "The Blues Accordin' to Lightnin' Hopkins"
"How Many More Years I Got"
2 1963 Lightnin' Hopkins: Lightnin' & co. 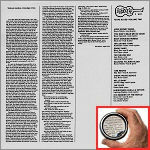 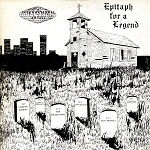 Many More Years I Got"
(=) Charly CRB 1147 (UK 1987) "Move On Out"
Lost & Found* - 25 M.P.H. 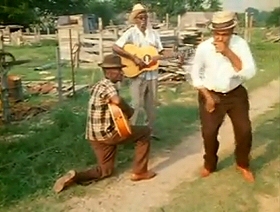 - My Grandpa Is Old Too!  - Darling, Do You Remember Me? 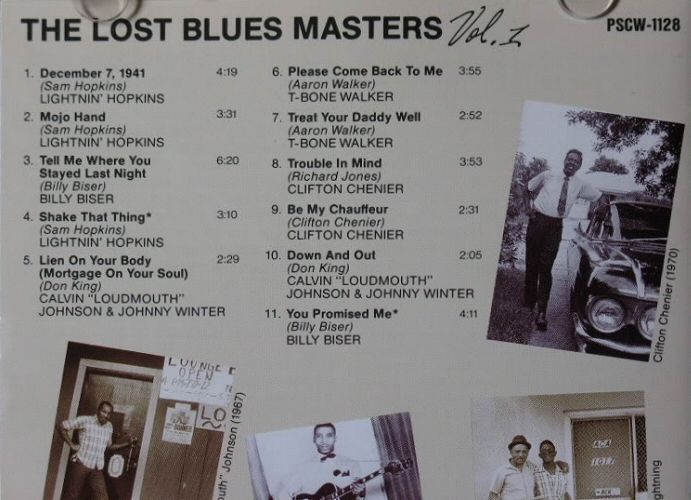 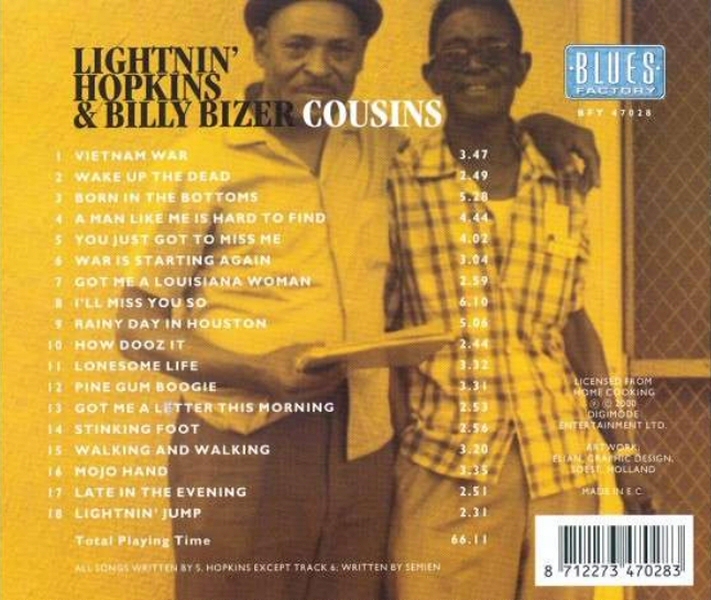 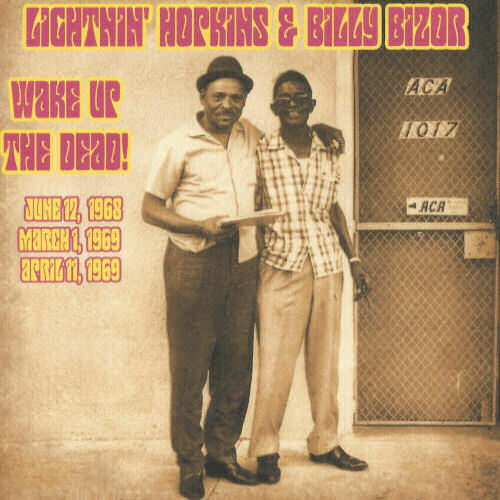 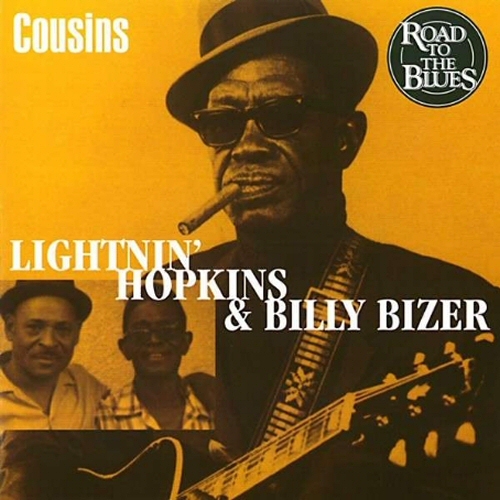 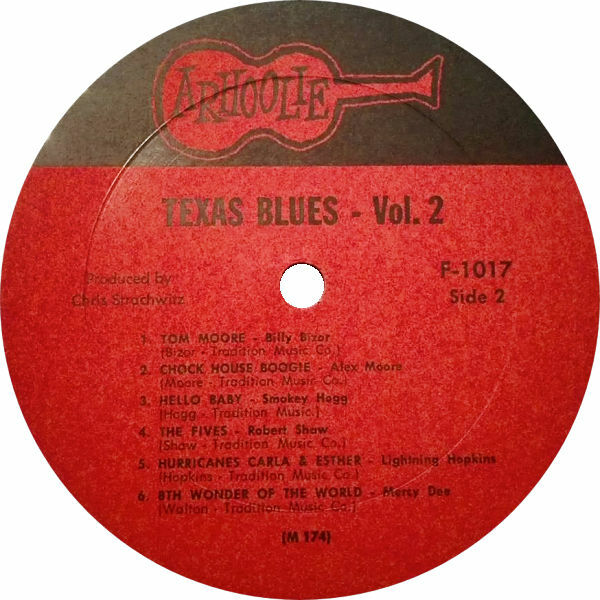 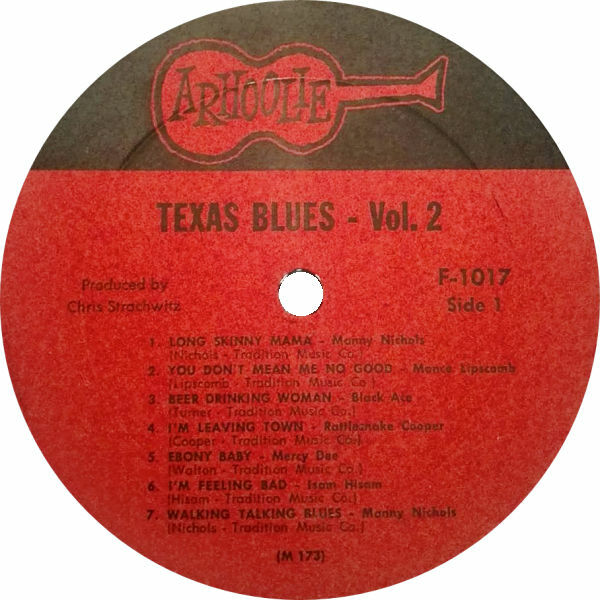 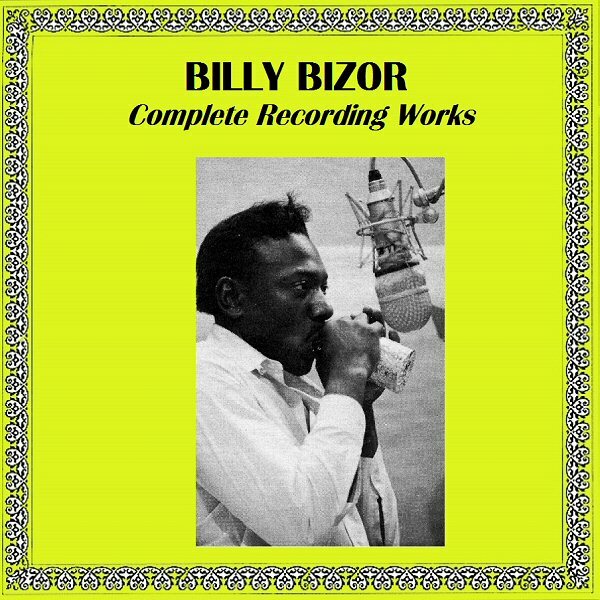 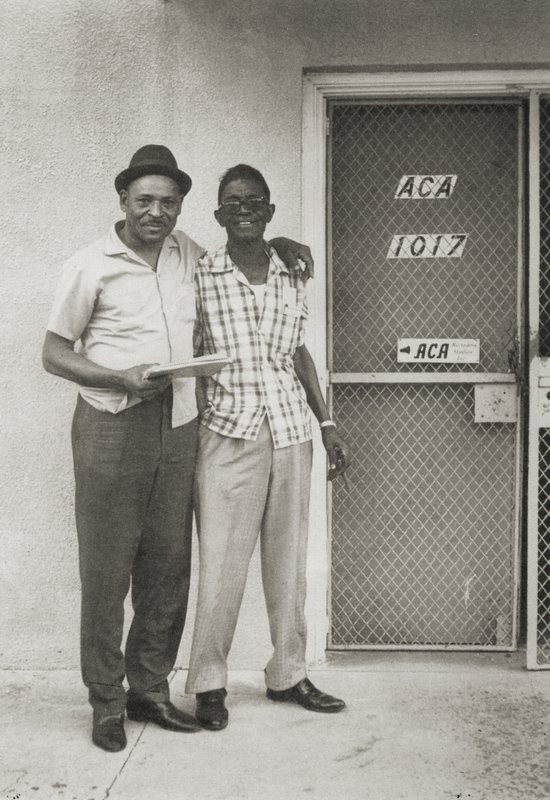 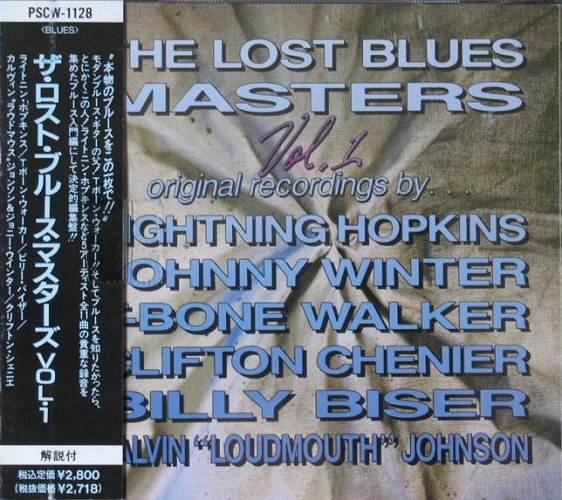 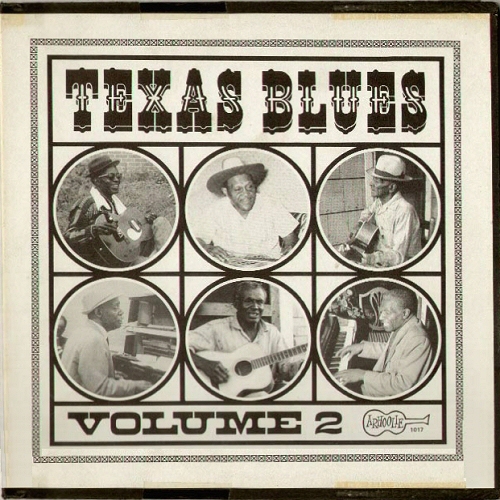 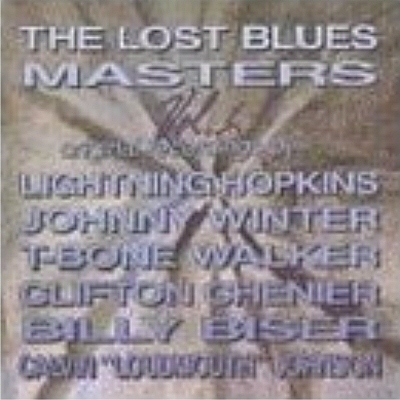 22 2015 Lightnin' Hopkins & Billy Bizor: Wake Up The Dead! 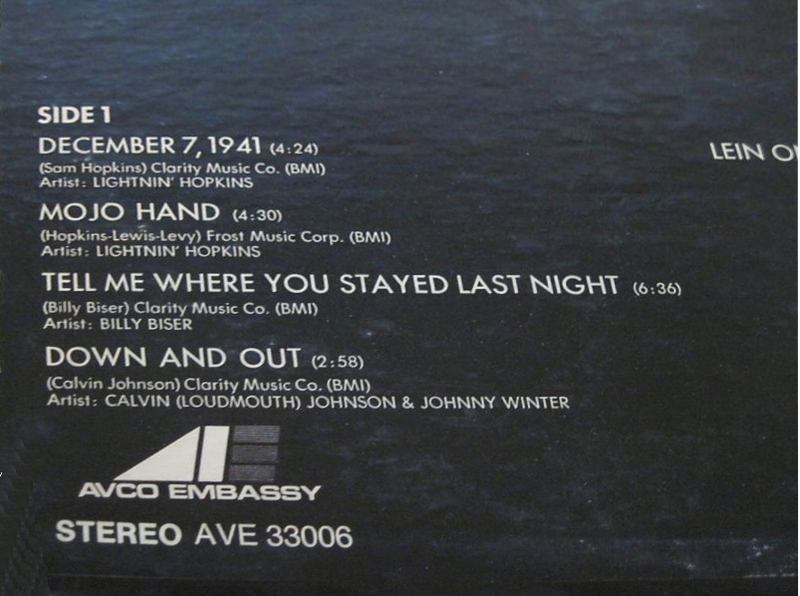 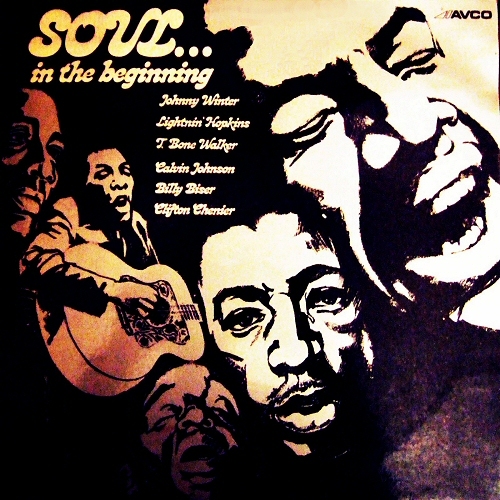 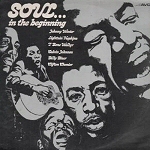 "Now for the first time ever the original four track masters have been re-mixed without any of the extraneous studio misjudgments that marred previous releases."